TwitArena is a match-up function using Twitter. You can share the play data on twitter and play against the play data by retweet. How to tweet play data：On “Challenge” Result view, Click Tweet Button. Start Your Twitter client. #[search from TL] is provisional function. This feature find data from the time line of the last 100. Added the sound when ox judgment. 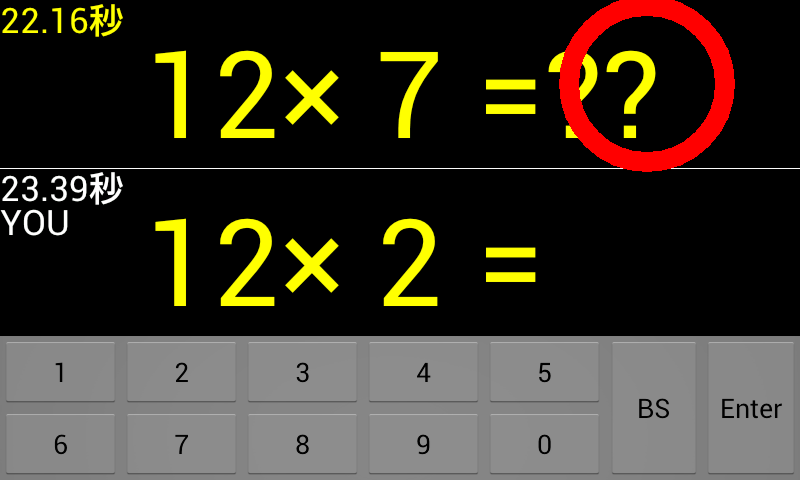 Old:If you enter the wrong calculation becomes “incorrect”. New:Don’t display the following issues until you correct. Old:Time count progresses even while it is being displayed ox. 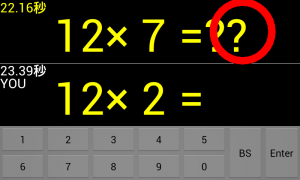 New:Time count stop while it is being displayed o. New:Displays the time it takes to answer. Fixed the deviation of the time on the play screen and result view.